JJ was born and raised in St. Louis and before you ask, she went to Clayton High School. 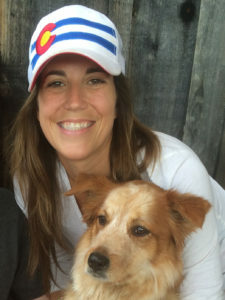 After high school, JJ ventured to the west coast for college and graduated with a Bachelor’s degree in Psychology from the University of San Diego. JJ has lived in San Diego, Los Angeles, New York, Denver and Sydney, Australia before returning back to her hometown of St. Louis, Missouri. 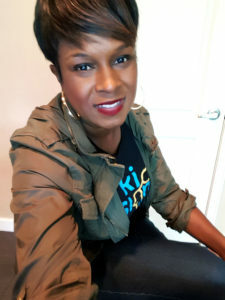 JJ loves spending time with her husband and two kids, working out, playing with her dogs (Scout & Buckets), and cooking. 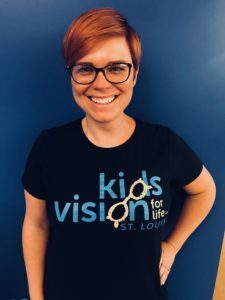 Her favorite part about working with Kids Vision for Life is dispensing glasses to students who have never worn them before. The students reactions are priceless and it reminds her that she is doing good work for her community. 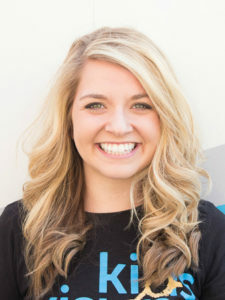 Sarah is originally from Little Rock, Arkansas. She has a background in Education with a degree from the University of Arkansas in Fayetteville. Her favorite part of the job is meeting new volunteers everyday! She loves interacting with new people from all walks of life and also enjoys watching the students put on their glasses for the first time. When she is not at work, she loves traveling, spending time outdoors, reading, going to the movies, and discovering new restaurants. Misty worked for Crown Vision Center for over twenty years and volunteered with KVFL before officially joining the team in 2015. She enjoys spending time with her husband and two beautiful children and travels somewhere new every summer. 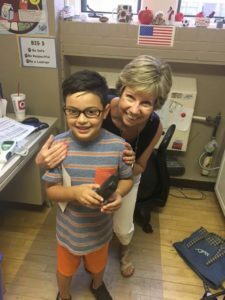 Misty believes her job with KVFL is the best and loves getting to watch the students smile when they get their new eyewear!